The HTC Titan arrives on Nov. 20 as AT&T’s (s t) largest phone yet, thanks to a 4.7-inch display. 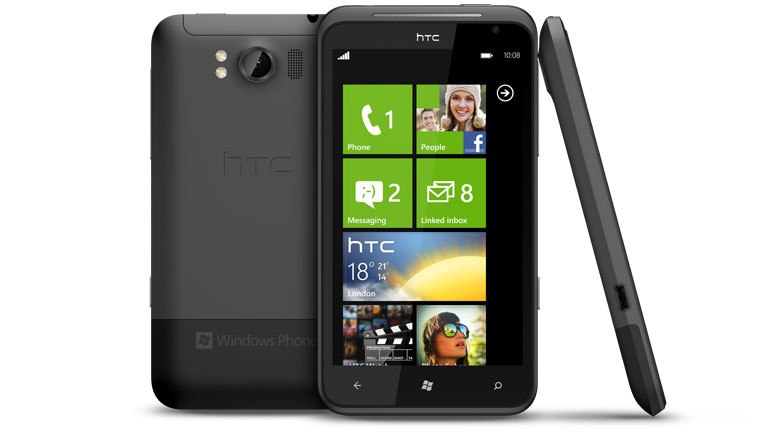 Priced at $199 with a two-year contract, the Titan runs on Microsoft’s (s msft) Windows Phone 7.5 platform. Although the Titan has a large screen, it keeps the standard 800 x 480 resolution used on Windows Phone devices. The carrier announced the new handset on the AT&T Facebook page. Similar to Apple’s iPhone 4S (s aapl), the new Titan uses a 14.4 Mbps radio for downloads on AT&T’s mobile broadband network; uploads top out at 5.76 Mbps. Other highlights include a 1.5 GHz processor, 16 GB of internal storage capacity and Internet sharing as an option. The Titan also has a pair of cameras: an 8 megapixel sensor with wide f/2.2 aperture and 720p video capture on back, plus a 1.3 megapixel front-facing camera for video chatting. A large display typically makes for a large phone, and the Titan is no exception. Dimensions of the handset are 5.18″ x 2.78″ x 0.39″ and the small slab weighs 5.6 ounces. Thanks to the relatively thin build, however, the Titan should easily fit in most pockets. And after using Windows Phone on the smaller, 3.7-inch screen of the Nokia (s nok) Lumia 800 lately, I find it to be a little cramped. Windows Phone and its tiles work nicely on a larger screened device. A 4.7-inch screen might be too extreme in the other direction, though, so you’ll have to hit up an AT&T store to see if it works for you. Can’t wait to see it. Holding out as I have to see the screen size. That’s a huge B. That phone will need a xoskin for sure. How is the HD playback. I always had issues with high bit rates on my evo.